I've attached a picture and marked the missing components. Why do you need this? They are missing for a reason. Dave did a teardown of the DS1000z scope some time ago and went through the power supply. I don't specifically remember talking about those parts but it may help you. I don't ever remember seeing a schematic other than one Dave traced out the front end and how Rigol does the bandwidth limiting. 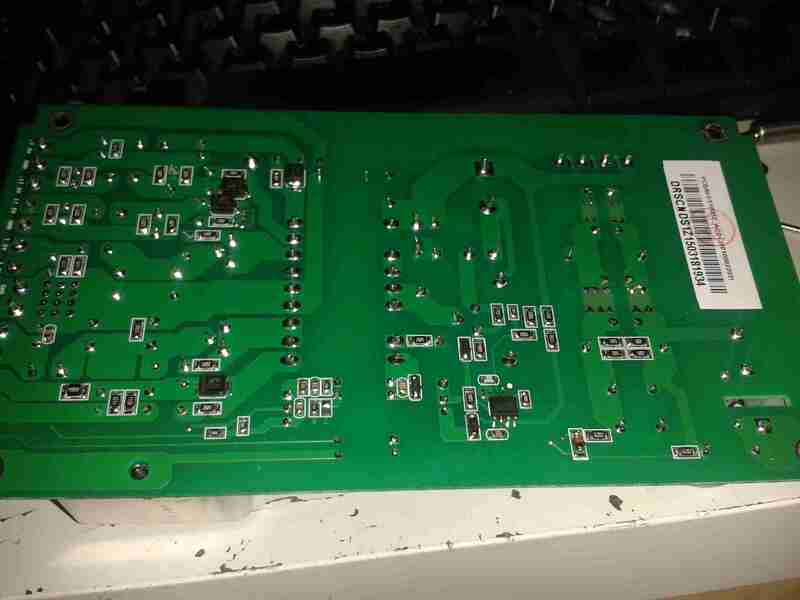 The soldering looks fine on this board, and it is pretty clear that those components were not installed by the manufacturer. Although looking at this picture http://www.experimental-engineering.co.uk/wp-content/uploads/2015/08/IMG_20150821_134321.jpg , those are resistors with markings "Z6A1" and "6202". And you have examples of both of them on the board, so you can just measure their value, instead of decoding cryptic codes. A close up picture with sharp focus would help to determine if they were actually installed there previously.